What our client say about us…. Peter and his crew are very nice people and do an awesome job on my yard. They are candid, prompt and extremely reliable. I would highly recommend Peter and his crew for all landscaping needs. We are so happy with the job done by Palughi Landscape Services. Our home has so much curb appeal, it’s simply beautiful. We love relaxing in our backyard too. It’s like our own private resort. Great job! 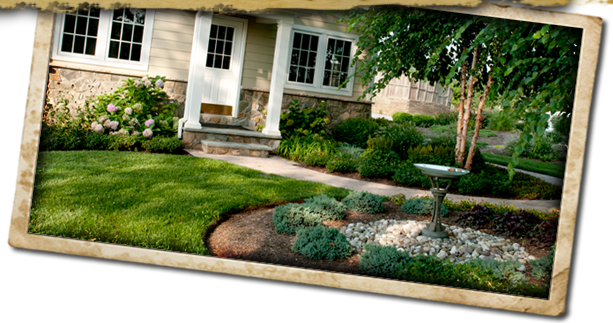 Palughi Landscaping has shown our community a great amount of care and professionalism to our landscapes. Whether it's maintaining our Village green recreation area, updating our landscapes with new flowers, or just removing leaves during the fall season, we can depend on them to get it done right and in a timely manner. We have had Palughi as our community landscaper for over 4 years now, and have never had a complaint regarding his work. Thanks for all the work you do for us! I just wanted to write you a short note to express my satisfaction with your company. All of the employees at Palughi Landscape Services are very professional and seem to consistently go above and beyond the job at hand. We at Mechanical Service Corp. couldn’t be happier and think we have the nicest landscaping on the block!! Thanks again for your continued service, I look forward to our continued business.